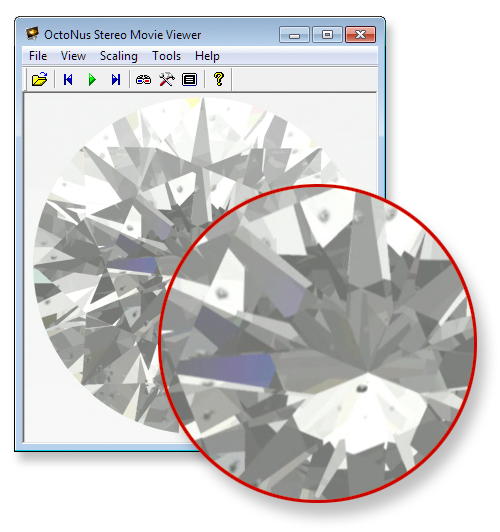 The new Stereo movie viewer supports playing DiamCalc stereo movies with realistic rendering of inclusions and depth-of-field effect, lens or human eye modeling. Note. 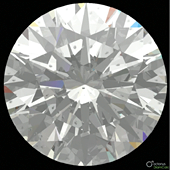 At the moment versions of DiamCalc available for download do not support rendering inclusions and export of FLM stereo movies. It is coming on the next versions. Support for NVIDIA® 3D Vision™ and 3D Vision™ Pro technology. 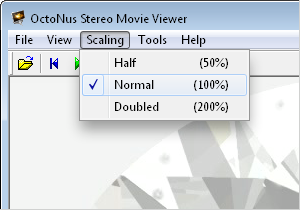 It allows to watch stereo movies on NVIDIA® 3D Vision™ supported hardware in full-screen and windowed display mode. Windowed mode is supported for NVIDIA® 3D Vision™ Pro with NVIDIA® Quadro® technology. The program interface is improved. 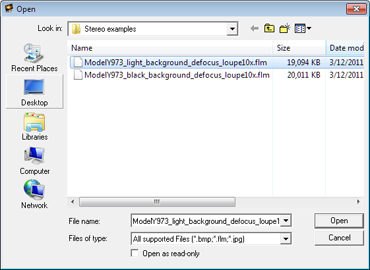 New additional visualization option allows scaling of movies. 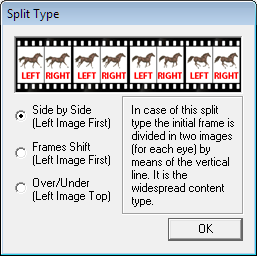 In case of this split type the initial frame is divided in two images, for left and right eye, by vertical line. 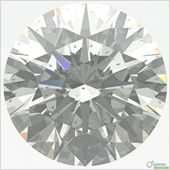 It is widespread content type. In case of this split type the images for left and right eye are presented from the stream of frames with some shift. For movies with rotating objects. In case of this split type the initial frame is divided in two images, for left and right eye, by horizontal line. It is rare content type. This mode allows watching movie on a full screen. 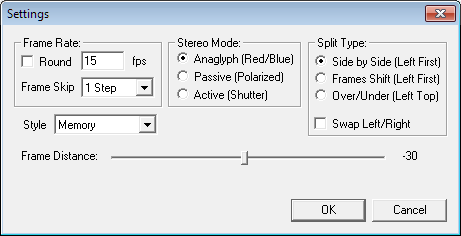 It is possible adjusting Frame Shift and Frame Distance in the Settings dialog box for selected split type Frame shift.